How do you know where your system is pushing its limits? How do you know when you’ve got power to spare? How do you know when it’s time to upgrade? These are recurring questions in my email. So, in this tutorial, I want to show you different ways to measure the performance of your computer system without spending any money. I use all of these regularly except Energy. This section indicates how hard your CPUs are working. 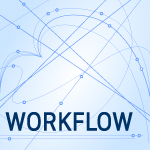 CPU effort varies based upon what other software is running, the NLE you are using, the tasks being performed and so on. In other words, it keeps changing. Not to worry. You’ll notice that that maximum values exceed 100%. That’s because the system assigns 100% to each thread on your system. So, a four-core, eight-thread CPU would have 800% total CPU available. You will NEVER see this. Your CPUs are doing a lot of behind-the-scenes work which prevents them from devoting full attention to any single app. This is normal and, again, not to worry about. NOTE: Red indicates tasks that are controlled by the operating system. Green are tasks controlled by you. 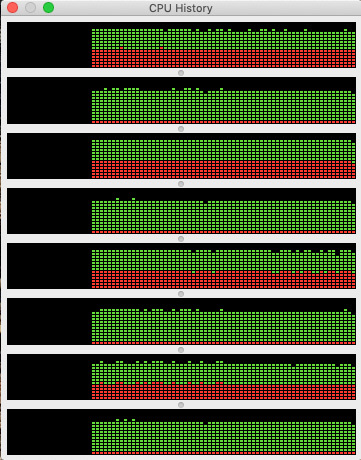 As you can see, the OS requires a lot of your CPUs on an on-going basis. 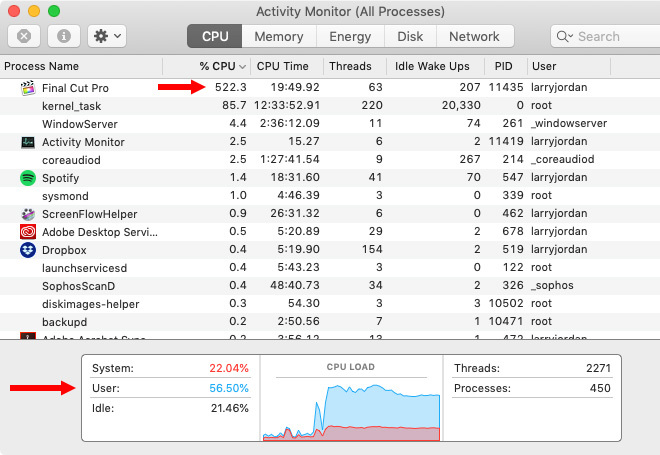 Choose Window > CPU Usage to see how hard each CPU and core is running on a second-by-second basis. 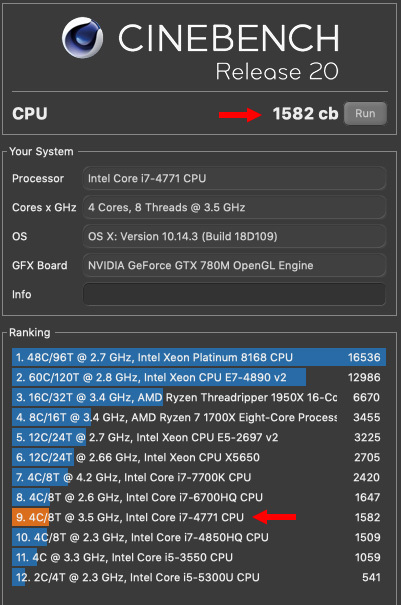 Choose Window > CPU History to see how hard each CPU is working over time. SUMMARY: Faster CPUs will get the same amount of work done more quickly. However, if your CPUs are not really busy, that indicates that delays are caused somewhere else. Activity Monitor does not provide numerical tracking of the GPU; at least not on the systems I’ve worked with. 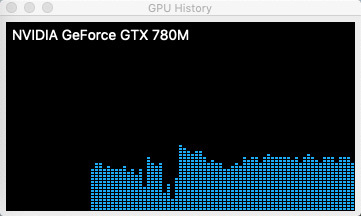 However, you can get a sense of how the GPU is doing by selecting Window > GPU History. This shows how hard the GPU is working over time. (Taller bars indicate more effort.) I use this to see which effects are GPU-intensive and how hard the GPU is working. SUMMARY: Faster GPUs will get work done more quickly. But the quality of all GPU output is the same. Different effects require varying performance levels from both CPU and GPU systems. This is the setting I use the most. This measures how much data I am playing back (Read) and recording (Write) each second. The numbers at the top are not as helpful as the graph at the bottom. 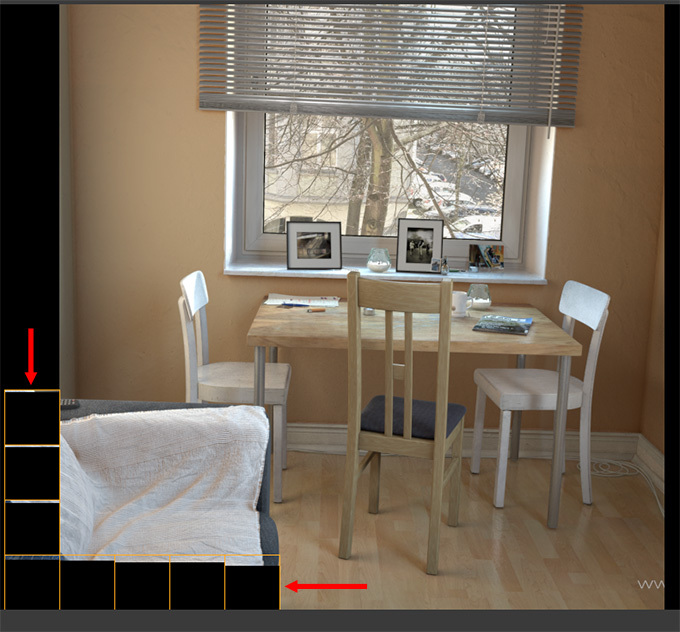 Due to the calculations needed to create render, or export, files you will never max this out. Again, that’s normal. By the way, see how little the CPUs are working during editing? Clip review and editing, alone, are not particularly taxing to any CPU manufactured in the last four years or so. Effects, though, are a different story. 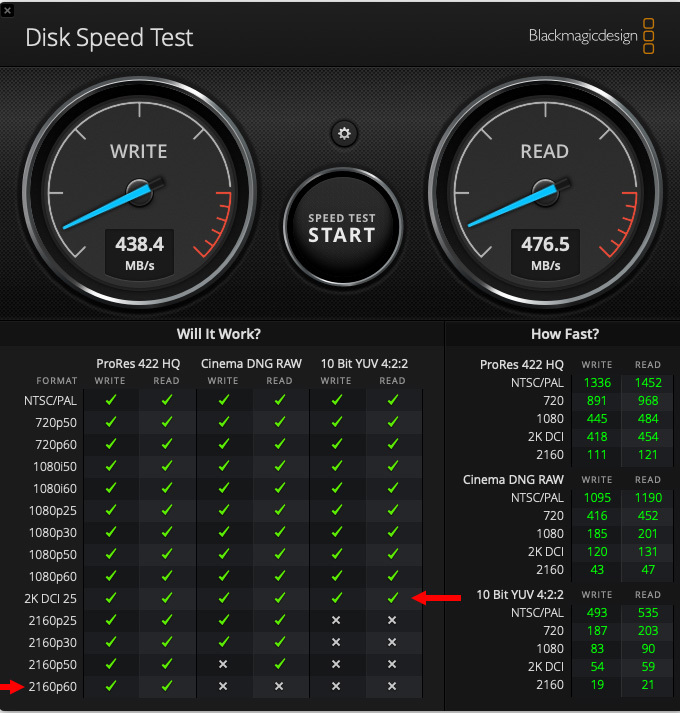 SUMMARY: Measuring the data transfer speed to your storage helps you determine how fast your storage needs to be. 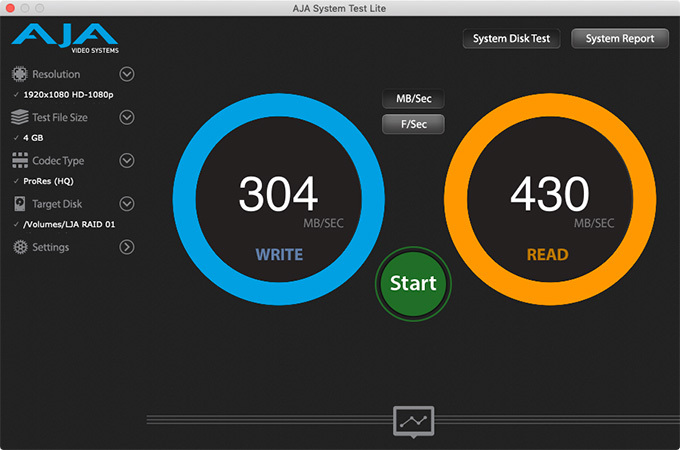 Ideally, all storage should be connected via Thunderbolt for best performance. This measures the speed of data transfer to or from the network. While this could measure download speed from the web, it is more useful measuring data transfer speed to a server stored on a local network. 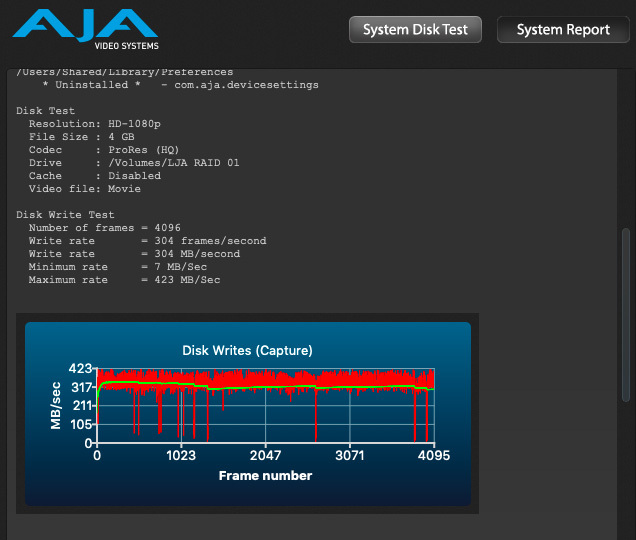 Again, like disk storage, blue indicates data playing from a server, while red indicates data being stored on the server. In this example, I’m playing 93 MB/second from the server. Since this is gigabit Ethernet, with a maximum transfer rate around 110 MB/second, I’m getting close to maxing out my network connection. SUMMARY: Gigabit Ethernet is fine for virtually all HD material, but too slow for serious 4K or HDR work. Upgrading network cabling, data switches and servers to 10-Gigabit Ethernet or Fibre Channel is required for shared storage at larger frame rates. Every system is different. Results vary by frame size, frame rate, codec and what work the editing system is doing. There is no single “right” answer. But, now that you know how the tools work, you can start to track your own system to see where the bottlenecks are and how to unblock them.